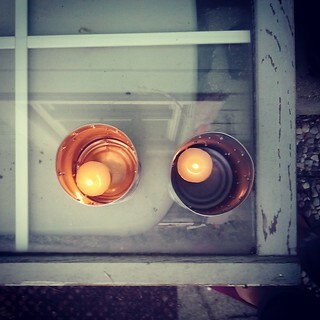 tin can tea light lanterns. my plan for the summer is to make a lantern every time I use up a can. it will be a slow growing collection, as coconut milk is really the only thing we use from a can anymore.